This Georgian Manor House was built in 1730 for the bride of Lord Hawarden, the Earl of Montalt where ancient Irish chieftains, the O'Dwyers of Kilnamanagh once held the land. At the beginning of the century a religious order bought the property and in 1978, the Crowe family bought the house and adjoining lands that lay along the Multeen River. 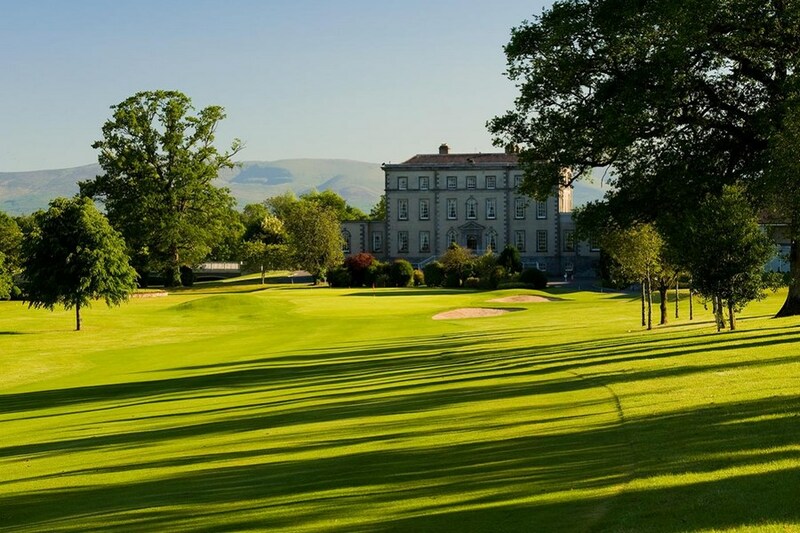 Dundrum House Hotel, Golf & Leisure Resort is located off the M8 Dublin to Cork route and the N74 from Tipperary via Limerick (N24) on the R505, 0.5 miles (1km) from the village of Dundrum and 8 miles (13km)from the heritage town of Cashel. Explore the famous Rock of Cashel and local historic sites. A spectacular group of Medieval buildings set on an outcrop of limestone in the Golden Vale including the 12th century round tower, High Cross and Romanesque Chapel, 13th century Gothic cathedral, 15th century Castle and the restored Hall of the Vicars Choral. Attractions include an audio-visual show and exhibitions. We are a family of 5, and visited your hotel last weekend with grandparents in tow!. The welcome of staff was fantastic and our children really enjoyed the pool. The food in the hotel restaurant is excellent- but we had a considerable wait in the golf clubhouse for food- so you are better to book ahead!! We needed access to the first aid box during our stay and again, the staff were attentive and very helpful. We will definitely return again!! We had a lovely relaxing break here. Very Quiet which I liked. Lots to do if you wish or just chill in the Hotels Leisure Club. The staff were really nice and friendly. lovely hotel, beautiful large room, good breakfast, friendly staff, enjoyed our stay. Very nice hotel, the swimming pool was closed at 6pm on Saturday night which was very surprising and a pity. Other than that we have a lovely stay. We never got to use the leisure centre as it closed at 6pm. We enjoyed our stay , the staff were friendly and helpful. 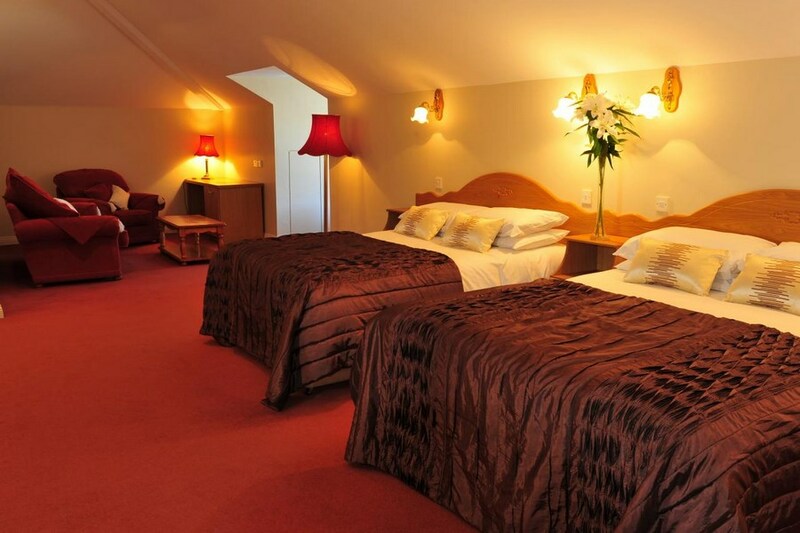 The room was large and very cold with lovely views of the golf course and mountains. excellent staff but the hotel in general very run down. would need a major upgrade. I know it is for sale and I think the golf course will be a big attraction. Apart from myself and my husband there were no other gueaaats except for a group of golfers. We enjoyed our stay in Dundrum house, the staff were friendly and helpful. The room was large with lovely views of the golf course and mountains. Food in the restaurant was well presented and tasty but we could have done with a little more time between courses. Plenty of common areas to enjoy a drink with again nice views of the countryside as an alternative to the bar. The leisure centre was relaxing however you had to leave the hotel to use it. Dumdrum house hotel is a nice relaxing place to stay away from all the hustle and bustle.It has a nice leisure and lovely food.The staff are very pleasant and helpful. The surrounding countryside is fabulous with the rock of Cashel and Cashel itself a must see. For walking enthusiasts the near by Glen of Atherlow caters for all walking levels. We went to have a nice relaxing weekend which we thoroughly enjoyed . Could do with a serious make over. Room doors make a serious noise when closing. Disturbed sleep on Saturday night due to guests slamming doors up to 3am. Had to eat in the Golf Club bar on Sunday and Monday night, not advised of this. People smoking in the lobby area of the Golf Club. If you have to eat in the Golf Club, ladies ensure you wear flat shoes and bring a torch, archway is very dark. Margaret in the Restaurant was a delight for dinner on Saturday night and breakfast each morning. Nice old style House but Rooms modern with a power shower. Friendly staff, nice leisure centre (pool etc.) but as others have said it could do with an injection of funds to give it a make over in some of the public areas. We enjoyed our 2 night break. Stayed here during the Summer for a one night stopover. Very old style hotel although our room was modern. Very basic double room but clean and comfy with a good shower. Staff were extremely friendly and helpful. 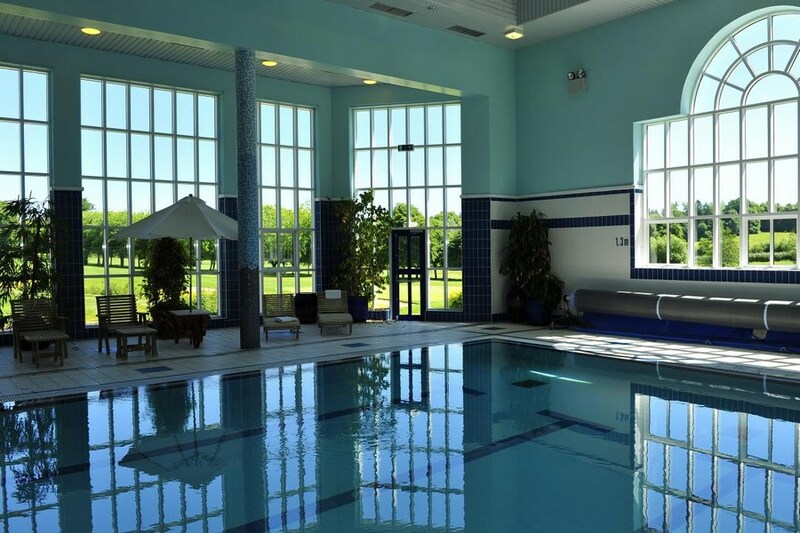 Lovely leisure centre with sauna, steamroom and Jacuzzi. Best value tip: book the meal inclusive. (49 pps instead of 39pps b&b) Food was fabulous in restaurant and plenty of it - couldn't even finish my dessert (and that's saying something!!) Also note, there is little or no signal for phones, so we actually spent time talking to each other!!! This is a beautiful hotel with a very warm atmosphere. The staff are friendly and helpful. Room is beautifully decorated and comfortable. Leisure facilities are very good. Restaurant is worth a visit. A little pricey but the food is divine. This deal was fantastic value for money. We stayed two nights in a large family room, that comfortably accommodated myself, my wife and two children. A very nice golf course surrounds the hotel, which provides a pleasant setting. The pool is very nice also. We had dinner one night, with very good food, although it would be helpful if there was a two course option on the set menu. My wife is a coeliac and was catered for admirably. The staff are particularly pleasant and helpful. Overall, highly recommended! We had the honeymoon-room. It was excellent.